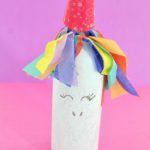 Continuing my unicorn love today I will be showing you how to turn party hats into unicorn party horns! I got these party hats from Target because when you are at Target you always come back with the essentials. 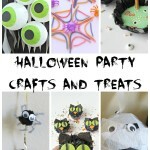 Toilet paper, snacks, a piñata, party hats, some throw pillows, a pretty plate, toys and then raid the dollar sections. Who doesn’t need a more pretty straws and baskets?! I need to ban myself from Target because it is not pretty. I have no self-control there. I also give myself excuses to go there when I don’t need to because I can’t get laundry detergent at the grocery store, right?! I’m trying to budget but Target is always my splurge place! I need to have a little fun though and that is where I have my fun. I guess I am really an adult since plates and pillows are my play time! 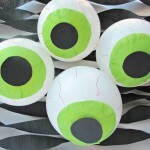 Target has really done a good job with their party decorations lately. 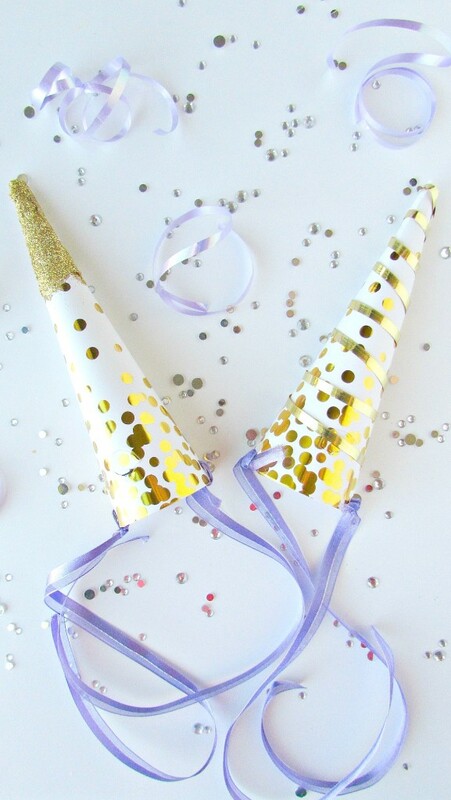 Love their party hats and they have cute diy banners. 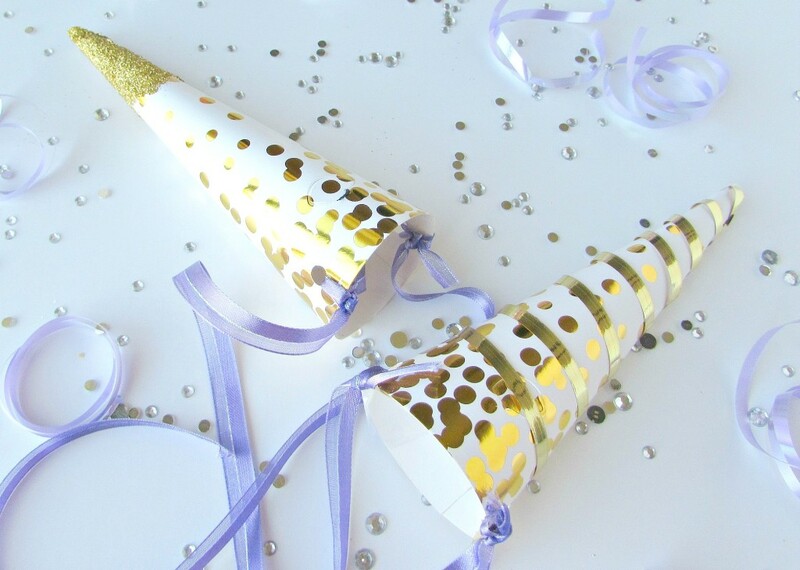 I got these white and gold party hats because I just had to have them! 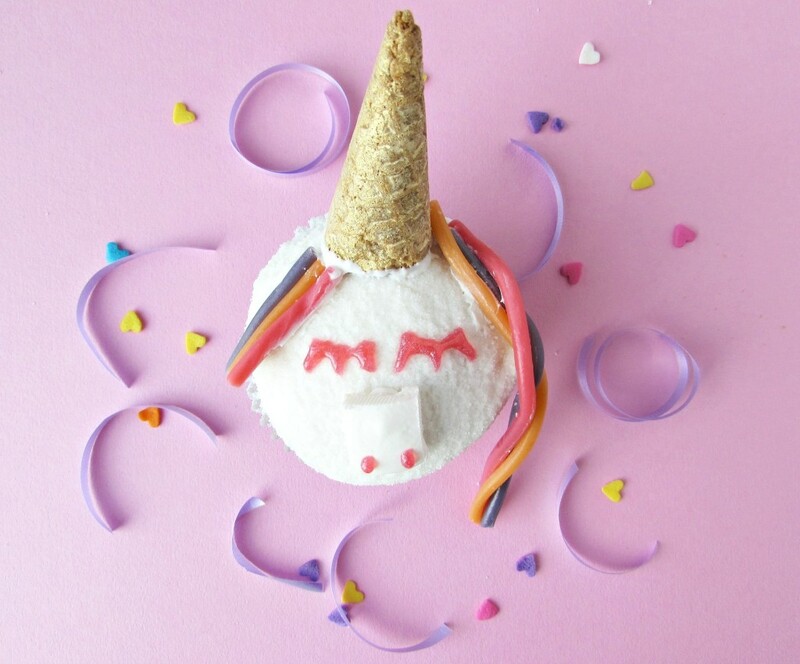 I knew I would find some uses for them and turning them into unicorn horns is obviously a logical use, right? I still have some left for dinner parties or any other occasion. 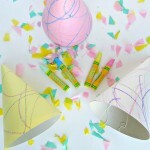 Yes, I expect my dinner party guests to wear party hats. 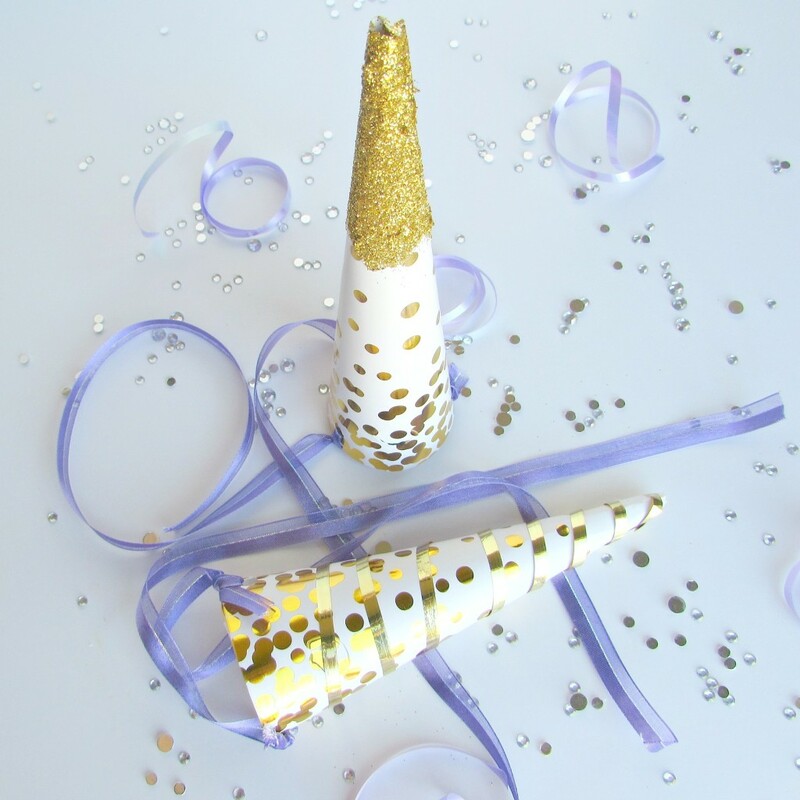 Now lets make these unicorn party horns! 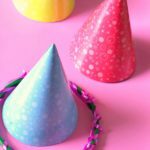 Cut the party hat around the seam. Cut it in half. Tape it along the edge. 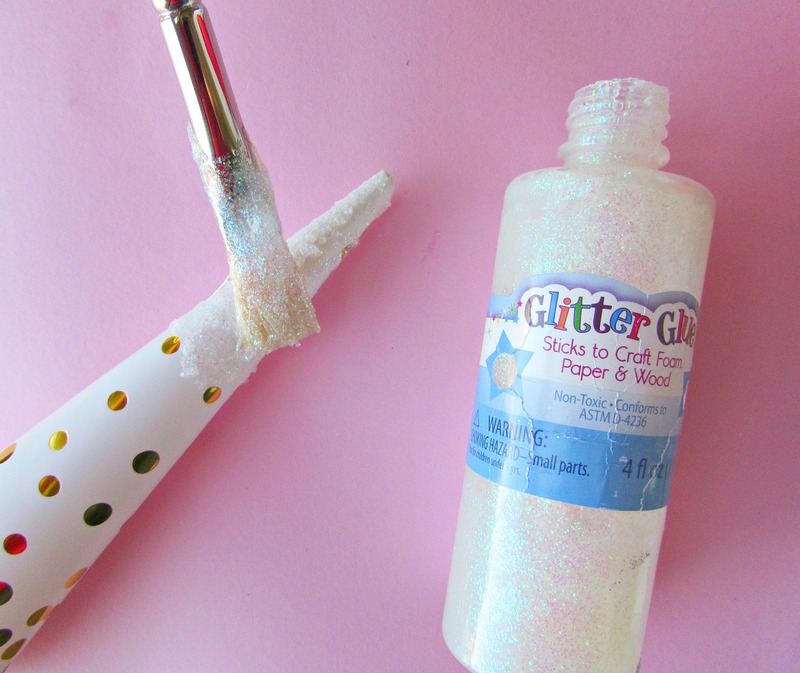 Put glue or glitter glue on the tip with a paint brush. Dip the glue in gold or colorful glitter. 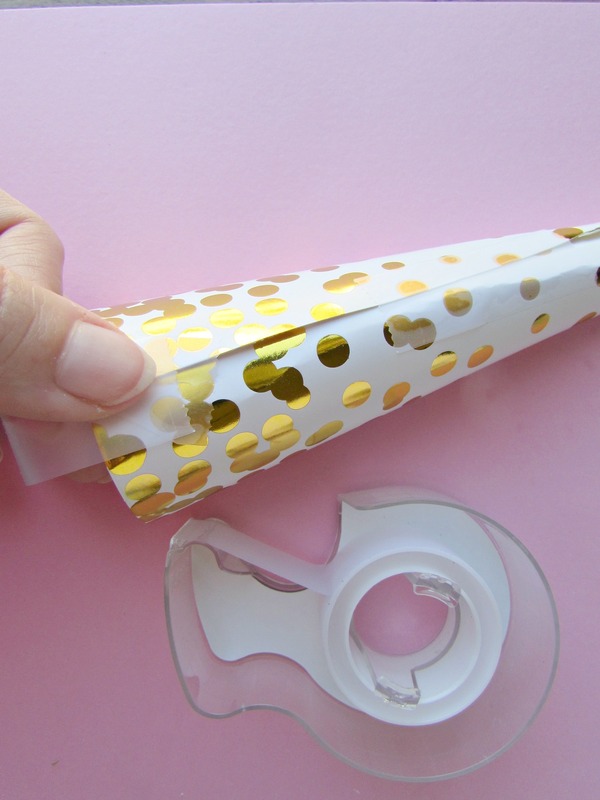 You can also wrap a ribbon around the “horn”. Punch a hole in the bottom on both sides. 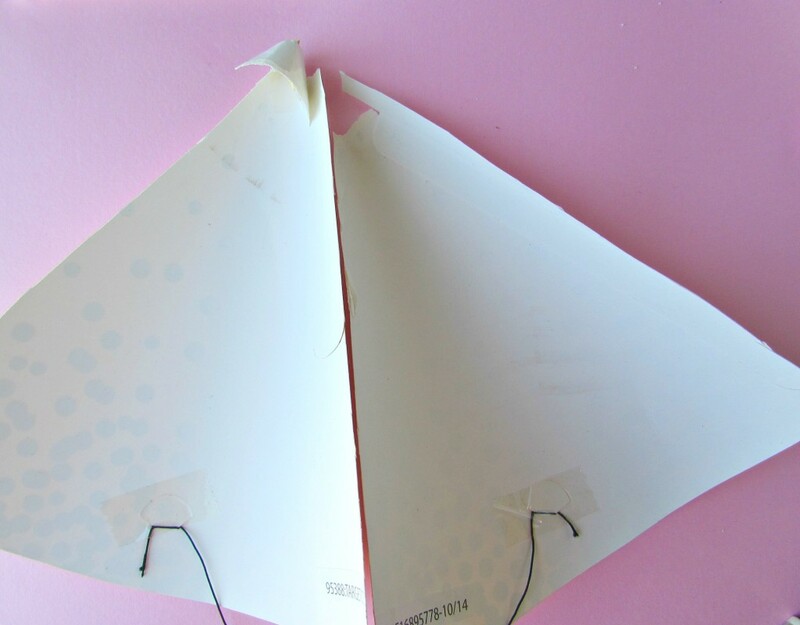 Tie a ribbon around it and leave enough ribbon to tie around a little chin. I measured it out on my daughter. It is better to use extra ribbon and cut it down than to not have enough. That is all you need to do! Even better than party hats! It is such a fun theme because you can get really creative. Bright colors, pastels, gold and glitter! 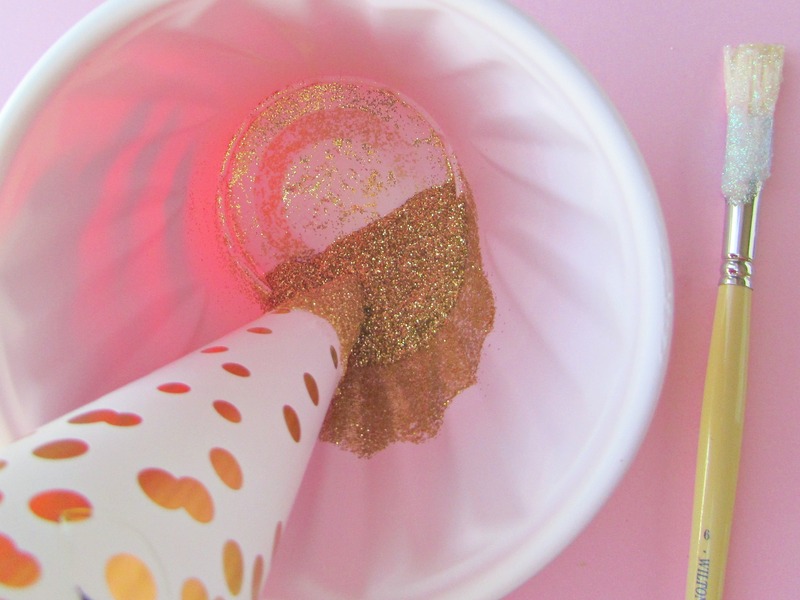 You can never have enough glitter. 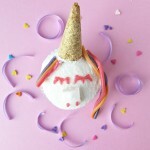 I may be an adult but I can still enjoy a good unicorn party and horn. Thanks, you are too sweet Tauni! 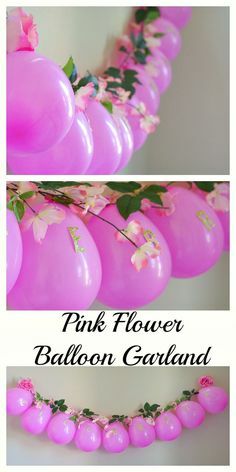 These are beyond cute! 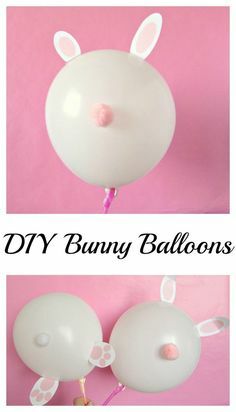 I bet the girls would go crazy for these at a party. Perfect, I am glad you stopped by! I followed you back on Pinterest! These are awesome! I love Target too but man do they take my money!! And they know exactly what they are doing! Ha I went in the other day to return something and walked out spending $50. I honestly don’t know what I bought! Oh and there’s a horse obsession in this house so these will be perfect! I know Target is the best and the worst at the same time haha. They just have such cute stuff and I always forget what I actually “needed” when I walk in there because of all the distractions. It is my splurge place. Fun a horse obsession is a fun obsession!